Michael Chandler has been in the news a lot lately and it has nothing to do with the world champion's exploits in the cage. Chandler, the Bellator World Lightweight Champion, has been featured on multiple websites recognizing the strength of his heart not his fists. Chandler, a Northwest High and University of Missouri grad, has partnered with the St. Louis-based Friends of Kids with Cancer to create BlessedThreads.com. 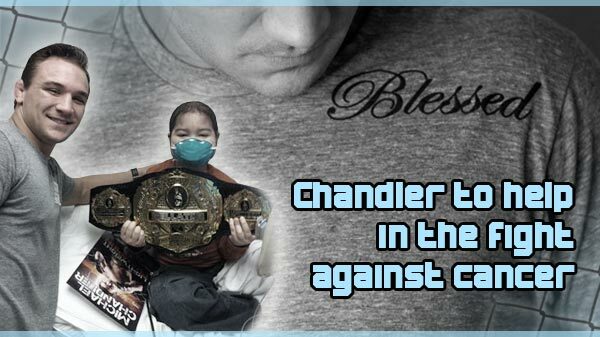 Chandler has helped create apparel with his "Blessed" motto that will be sold exclusively on BlessedThreads.com, with a portion of the proceeds going directly to Friends of Kids with Cancer. Beginning as a toy closet at cancer-treatment locations, Friends of Kids with Cancer now has a 19-year history in St. Louis, Mo. "I couldn't think of a better cause to help," Chandler said. "Those kids have gone through a lot more than I ever had to. We really hope that this takes off." Chandler has "Blessed" tattooed on the left side of his chest, which is also the design of the shirts. He got the tattoo in 2009. "I really started using the word a lot," Chandler said. "We take for granted the little things in life and how blessed we are." After plowing through Bellator's fourth season tournament, Chandler grabbed the attention of the MMA world with his Fight of the Year performance against Eddie Alvarez at Bellator 58, netting Chandler the Bellator Lightweight Title. Chandler was a great wrestler at Missouri, where he was an All-American and compiled a record of 100-40. He became just the 16th wrestler in Missouri history to win 100 matches. Chandler is 9-0 as a pro and has finished seven of his fights. He is back to work at Extreme Couture in Las Vegas. He has expressed interest in getting another fight in late April or May but Bellator officials have suggested that fall may be a more likely time for a non-title bout. In a press release posted on Prommanow.com., Bellator Chairman & CEO Bjorn Rebney said; "Michael Chandler represents everything that is good about Mixed Martial Arts. 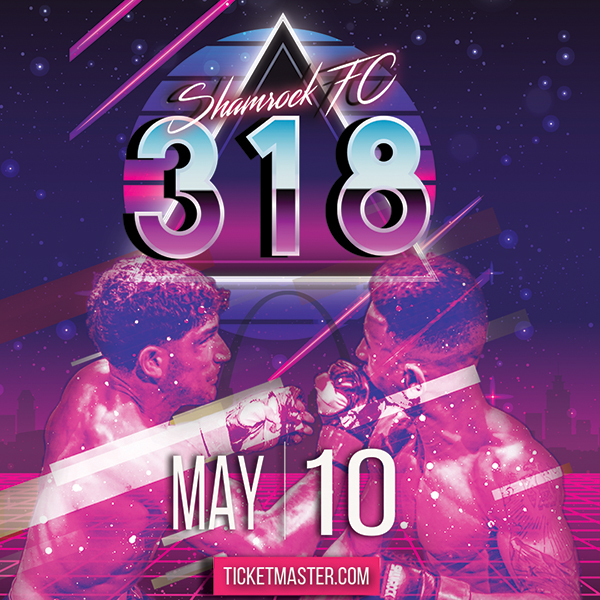 His drive, determination and world-class ability inside the cage are rivaled by his character and integrity outside of it." Purchases can be made at BlessedThreads.com. Donations can also be made directly to Friends of Kids with Cancer at Friendsofkids.com.